Archaeologist Hillel Geva says that population estimates for ancient Jerusalem are too high. His new estimates begin with people living on no more than a dozen acres. Archaeological excavations are prohibited on the Temple Mount in Jerusalem, though one project—the Temple Mount Sifting Project—has been analyzing soil that came from the Temple Mount since 2004. Learn the story. 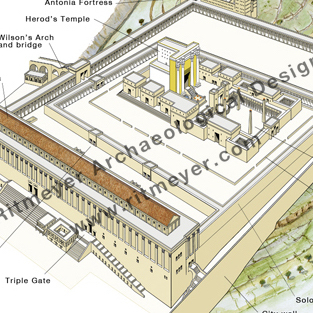 Archaeological architect Leen Ritmeyer presents drawings of the Temple Mount in the Herodian period.